Will guide you along in your sanding project! 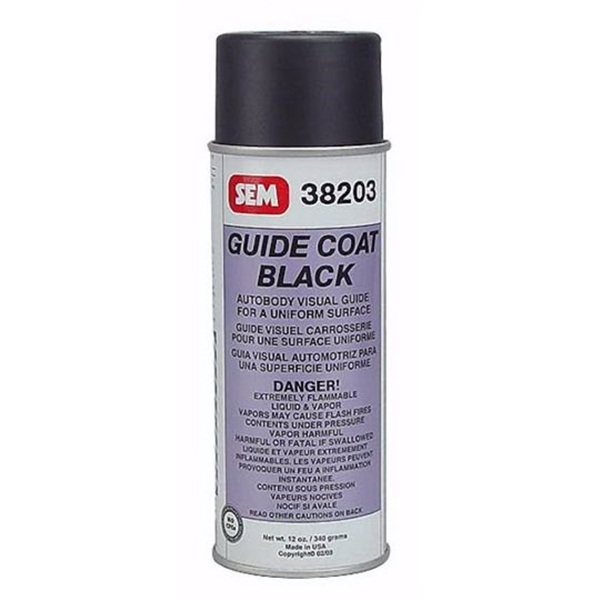 Guide coat black will help eliminate low spots and waves when sanding primer. Simply spray this black coat over your primer, then block sand. After sanding, any spots that remain black are low and need to be filled. 12 oz spray can. Made in USA. Probably would not buy again given the problems with the cans and spraying.